As a sales associate with Realty Pros Assured, Christina Bovier brings many years of sales and negotiating skills that will help your family reach your Real Estate Goals. Since becoming involved in the industry in 2014 she has earned a reputation as someone upon whom people can rely for excellent service and up to date information. She has lived in Port Orange her entire life and she considers this place home. Proud to help the residents of the greater Daytona Beach area she is an active member of the community as well, serving as a member of the Chamber of Commerce and as a board member of the Women’s Council of Realtors. She also volunteers at Arni Foundation and Easter Seals. Outside of the office, Christina enjoys boating, watching movies and spending time with her family. She is someone who is always looking for ways to improve herself, a total fanatic when it comes to education. Christina can help you buy or sell your home, condo, townhouse or vacant land. She is a multi-million dollar producer that you can count on to be reliable, trustworthy, positive and diligent. Don’t trust the most expensive decision of your life to just anyone…. Trust a professional! Call Christina today! The professional real estate agent is your best resource for traversing the inevitable hurdles of purchasing or selling a home. That agent should understand the market and be attuned to what you need to make the sale successful. In our local community you can’t go wrong by choosing Patty Lynn to guide you through that passage. While Patty was born in Virginia and spent her early years in New Jersey, she has made the greater Daytona area her home since moving here at the age of 15. An honors graduate of Seabreeze High School, she earned her Associates Degree at what was then Daytona Beach Community College (now DSC) and pursued her early enthusiasm for law by obtaining a Bachelors in Legal Studies from UCF Orlando. Post-graduation, however, Patty shrewdly took a sharp turn when opportunity knocked. She joined her father’s pool company in New Smyrna Beach where she worked her way up to becoming a 50% shareholder before selling her equity interest in 1990. With that first career achievement established and after a brief stint at a local law firm, she replicated her victory in a similar business venture with her own Splash Zone Pools which she also sold at an opportune moment. Her next challenges were in accounting and computer system analysis until she discovered her aptitude for real estate, “From helping customers find their dream home to traversing the mortgage loan process to closing the sale, it’s truly a passion for me,” Patty says with an air of pride. “An obsession for detail and zeal for guiding clients through the maze of negotiations utilizing the skills that I initially thought I’d use as an attorney. Real Estate gratifies me on all counts”. 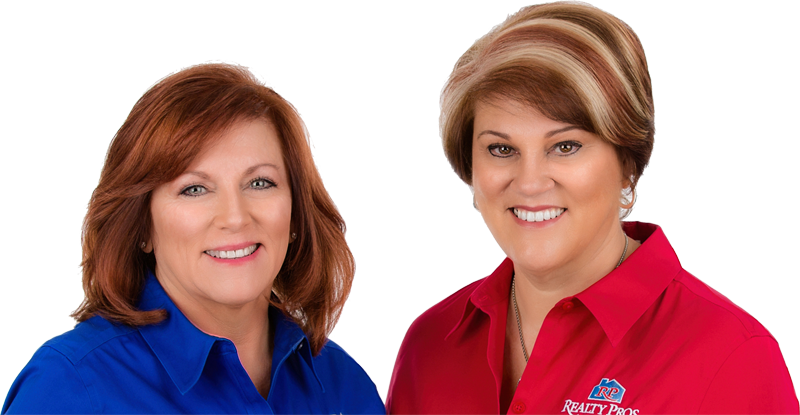 Patty joined Realty Pros Assured in 2009 where she now manages the Port Orange office of this three (? four) location company that has over 100 (185?) realtors. During the down market in 2012/2013 she took a respite from real estate and honed her expertise by earning her NMLS Mortgage Loan Origination license in over 30 States which was needed to work as a Forensic Loan Underwriter for Digital Risk a contractor for Freddie Mac & Fannie Mae. At this position she saw mortgage loan files from the eyes of the underwriter who ultimately approves the mortgage. She brings all this know-how to the table for the clients she serves today. Community minded realtors have a reputation for being front and center when it comes to helping their neighbors and Patty and Realty Pros Assured exemplify that. While supporting a number of local causes the charity nearest and dearest to Patty’s heart is Homes for Heroes (homesforheroes.com) which “helps to secure meaningful rebates and discounts so that military personnel, teachers, firefighters, peace officers and healthcare workers who serve in our community can actually afford to buy a home in our community.” Her sincerity on behalf of this cause is evident as she add, “I am married to a firefighter myself so I know just how much our public servants give to protect and serve.” Patty and her husband live in the city of Port Orange. They have three sons.